This is a guest post from Christine Scott of White Pine Diamonds. The link near the end of the article takes you to her company’s site. A broken engagement is one of the most difficult things an adult person can withstand. Your engagement ring, the symbol of your promise to love one another till death do you part is now the center of conflict but with good reason. 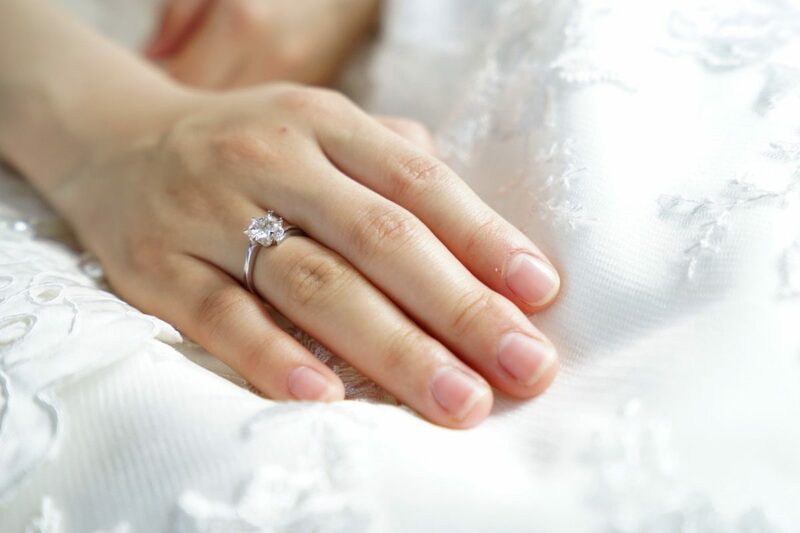 As of 2012 the average amount spent on an engagement ring was $4000, sounds like four thousand reasons to go to court. But monetary value aside, who’s entitled to the engagement ring? Depending on the state you’re in and which judge you have, the courts may determine who gets the ring on different circumstances. The main arguments used to determine who gets the ring is Fault and No-Fault based gift approach. To fully understand these arguments we must first define what is considered a gift. If the courts hold these requirements to be true then the receiver gets to keep the ring. But in most engagement ring cases the courts follow the conditional gift rule. This rule states that the giver gifted the ring to the receiver with the expectation of something in return. The expectation of marriage was the return. With a broken engagement the giver did not receive their side of the deal so is entitled to the ring, this is also called the fault-based approach. But what if the giver was the one who broke of the engagement, do they really deserve the ring back? Technically they broke their own agreement. Now we’re getting into the fault-based approach with considered reasoning. This approach states that the person who broke the agreement must hand over the ring. So if the giver decided they do not want to be engaged anymore then the receiver is allowed to keep the ring. But if the receiver decided to break the engagement then the giver is entitled to the ring. All said and done you’ve fought so hard for the ring, now what? You can’t return it and you probably wouldn’t want to wear it. It’s time to sell it. Selling your engagement ring online can help rid you of negative feelings and help catapult you into financial security. Previous Previous post: If Anybody Ever Needed Alimony . . .